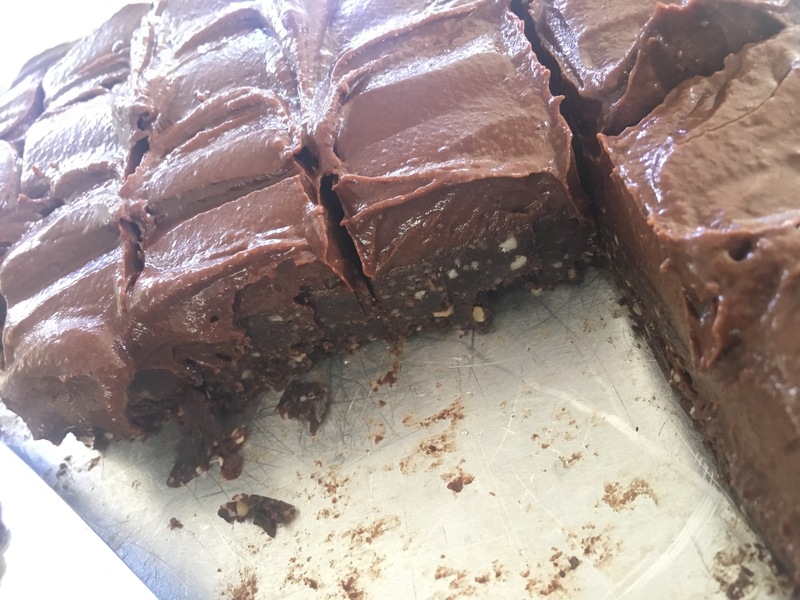 This is THE BEST Raw Vegan Chocolate Brownie, and I usually exclusively save this one for my Chef Course students, but felt this one needed to be shared as it really is sooo delicious! Just a few key ingredients makes this recipe easy. The key is to work the flavours of the Cacao so you have a yummy sweet chocolate icing and a nice bitter chocolate bottom. All natural ingredients, dairy and gluten free, I like to cut this up into small bites and have it snacky size straight from the freezer. In a food processor, process nuts until chunky breadcrumb like, then add dates and process until combined and the mixture starts to “stick”. Add cacao and process until mixed through. Press mixture into a non stick slice tray and press down until packed firmly. Place in fridge while you make the icing. In a magic bullet blender or high speed blender blend all ingredients until smooth. Add some water if needed. Spread icing onto base and smooth out. Place in freezer to set for 15 – 30 mins, and then keep in the fridge for when the brownie craving hits! PS. If you would like to join the next intake of Raw Food Chef Students on my Level 1 Raw Food Chef Course, head here. 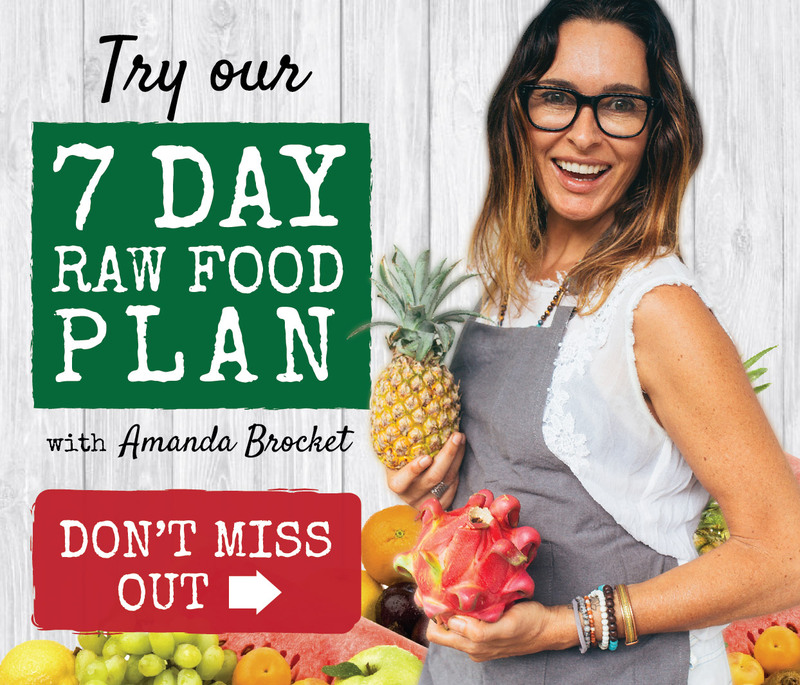 This is for you if you want to learn EVERYTHING there is to know about making, eating and living a plant based lifestyle! This Course is for you if wish to start your own business in this delicious healthy field or simply want to become a pro in your own kitchen.